I met representatives from RaiseMe at a recent conference for college admissions professionals held in Salt Lake City. The idea of being connected with colleges that recognize and reward your academic performance, leadership, and service is a good thing. However, prior to setting up a RaiseMe account and logging all of your achievements into your profile throughout high school, you may want to consider what has been written about the program and concept. Raise.me is opaque in ways that invite skepticism. Start with the name — Raise.me. I know of no other domain name ending in “.me.” Is Raise.me profit or not for profit? Did they cleverly avoid .com identification with the .me designation? Our analysis is that if you are a good student, who is intentional in earning good grades, assuming leadership roles, and performing community service, you will have many need- or merit-based scholarship opportunities at a broad range of colleges. You may identify some of those colleges as RaiseMe partner schools, or you may identify such schools through your own research. Each year, we receive so many inquiries from students who are unable to close the financial aid gap with federal student loans offered by their college and need to identify private sources of student loans to close the gap. While we advise students to seriously consider their college choice in light of their financial aid gap, we have developed this posting to some of the private student loan providers for students who remain committed to their current college choice, not matter the cost. We are providing a reprint of Mark P. Cussen’s posting of “Top Student Loan Providers.” We are not providing an endorsement of any of the student loan providers listed on this page. We advise students to carefully and thoughtfully research each student loan provider; understand the terms and costs associated with each loan; and whether their loans can be forgiven or if they are entitled to any discounts or rebates. Many students who borrow to pay for college make their way into the real world after graduation worried about being able to pay off their education loans. One of the best ways students and parents can minimize their loan obligations is to shop around for the best providers before they borrow. Although there is no definitive list of best loan providers, this article shows you those that have received accolades from consumers and financial-aid websites. 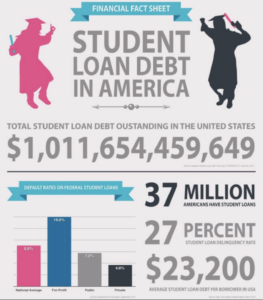 Any list of top student loan providers has to begin with Uncle Sam. Federally-subsidized student loans are often the cheapest – and in many cases, the only – alternative for lower or middle-income students and families who need to pay for college. Pell Grants and subsidized loans offer rates and repayment terms that are typically far superior to anything found in the private sector, including deferment, forbearance and loan forgiveness programs. For more information on federal student loan programs, visit www.studentloans.gov. The site is loaded with information and resources, such as how to obtain aid, and a calculator for estimating loan repayment. At first, Sallie Mae (SLM) was a government-sponsored enterprise, but now operates as a publicly-traded corporation. 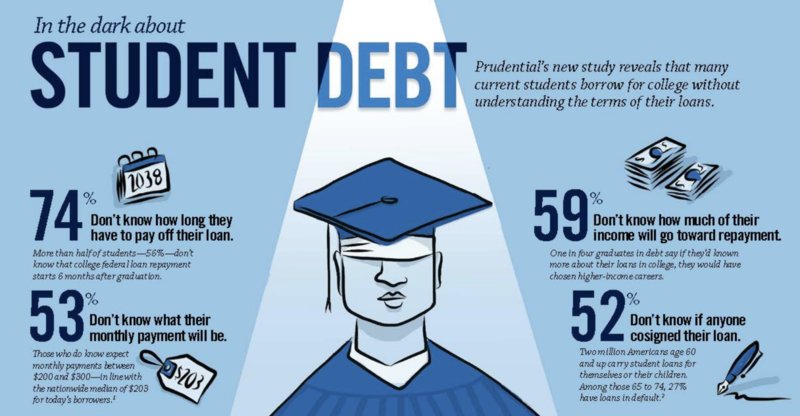 Sallie Mae primarily offers private student loans for undergrads, graduates and parents. In 2004, it spun off a new company named Navient (NAVI) to handle the servicing of government-backed loans. They even offer family education loans for expenses associated with private school costs from kindergarten through high school. Its website offers information, products, and tools on saving, planning, and paying for college. Sallie Mae has been rated A+ by the Better Business Bureau, as well. This provider is geared toward private loans for college students and tuition payment plans for thousands of K-12 schools. Nelnet (NNI) offers customers educational services in loan servicing, payment processing, education planning, and asset management. Their website is loaded with tools and resources that help borrowers determine where they are financially and how to choose the best loan. Some of their available tools include budget sheets, guidance on how to prevent identity theft and education on general money management. It also provides answers to a comprehensive list of FAQs and offers both email and telephone customer service support. StudentLoan.com differs from Sallie Mae in that it is owned and operated by Discover Bank (DFS). It was previously owned by Citibank until 2010. Student loans are just one of the many financial products and services offered by this company best known for issuing consumer credit cards. There are no loan application, origination or late fees required. The site offers comprehensive educational tools, articles and calculators for students and parents, and it provides a variety of payment options. One advantage offered by Discover Student Loans is that school-certified college costs up to 100% can be covered. They also offer loan consolidation. Although it does not have a standalone website devoted to student loans, Citizens Bank’s (CFG) student loan webpage easily allows you to apply for a student loan. They offer private loans for students and parents at both the undergraduate and graduate levels. There are a variety of payment options available and customers who also open a student checking account can get a rate discount on their student loan. This unique company provides younger borrowers who lack the financial credentials typically required by banks and other traditional lenders with a viable alternative for their student loans. SoFi was the first to refinance both federal and private loans, and its underwriters consider such non-standard factors as professional merit and work history in addition to the borrower’s credit profile. Fixed and variable rate notes are available in multiple terms with no origination or application fees, and no prepayment penalties. This consolidation provider was created when hundreds of nonprofit credit unions united to establish this site. LendKey provides loans for undergrads, consolidations for college graduates, and refinancings of parent PLUS loans. Borrowers need to be members of a credit union in order to be eligible for services. LendKey offers some of the lowest student loan rates available. Founded in 2011, CommonBond is a lender that offers refinancing of graduate and undergraduate student loans. They also offer private student loans for undergraduates and non-MBA graduate students. Wells Fargo (WFC) provides undergraduate, graduate, and consolidation services for private student loans while offering both fixed- and variable-rate loans. They award discounts for various incentives, such as graduation or opening another account with the bank. This site, by Lending Tree offers access to a pool of consolidation lenders. Borrowers can compare rate estimates among lenders without having each of them pull their credit information. However, borrowers will have to submit to a credit check in order to be approved. SimpleTuition offers tips, tools and deals to help students plan for the costs of college, and how they manage their student loans. Although Cedar Education Lending offers student loans and consolidation loans, borrowers with very high loan balances or loans that charge high rates of interest may find a better alternative on this site. This site also offers loan consolidation that could result in longer repayment periods, and lower monthly payments, a wise move for borrowers whose earnings are expected to be low when they first get out of school. SunTrust (STI) charges no origination, application, or prepayment fees and student loan borrowers can qualify for rate reductions and cosigner release options if they demonstrate financial responsibility. Prospective borrowers can apply for and compare fixed and variable rate loans online. It no longer offers a loan-consolidation program. This group allows borrowers to compare lenders and also consolidate loans on its website. Borrowers can consolidate both private and governmental loans on the Student Loan Network, and gain access to educational materials about student loans and tips on how borrowers can avoid defaulting on them. Students and parents who need financial assistance now have more options than ever before. Banks, credit unions and other lenders offer a vast array of loans and scholarships that can help to finance education costs in an affordable manner. For additional information on student loans, contact your school’s financial aid officer or a financial advisor.